Like many others who call Cary home, Jack Smith is a 'transplant to the area' when he accepted a job opportunity in RTP and moved his family here from Boston in 1986. Jack has held vice president level positions in both Fortune and NASDAQ 25 companies. In 2001 he founded Organizational Capability Services, LLC, a leader in competency management practices and executive recruitment. Jack Smith has served as the Cary Town Council, District C representative for twenty-eight years, including eight as Mayor Pro Tem. He is a member of both the Cary and Wake County Economic Development Commissions. He is the liaison to the Planning and Zoning Board and Sister Cities of Cary. He represents Cary on the Greater Raleigh Convention and Visitors Board and the Wake County Growth Issues Task Force. 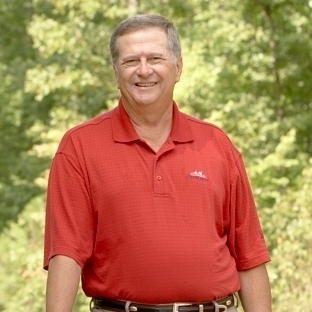 Active in the community, he has received numerous accolades including: 2012 - SCAC Citizen Diplomacy Award, 2010 - Cary Chamber Citizen of the Year and 2006 - induction into the Sister Cities International Government Leadership Circle. On September 10, 2015, the Town opened the 'Jack Smith Park' dedicated to Jack for his lifetime of public service accomplishments and in recognition of him being the longest serving elected official in Cary's history. Jack is a member of St. Michael's Catholic Church and American Legion Post 67. He is a speaker for the NC National Kidney Foundation on the merits of being an organ donor & in 2009 served as the Honorary Chair of the annual RTP Kidney walk. Jack graduated from the University of Oklahoma and is a veteran, having served in the US Army as a Cavalry Troop Commander, attaining the rank of Captain. He is a graduate of both the Leadership Triangle and Institute of Political Leadership programs. He and wife of 43 years, Bridget, have 2 children and 4 grandchildren.